The fourth of July is already upon us, and we at BannerFlex have been getting prepared with our best street pole banners for the holiday. With eye-catching designs up and down your streets, you too could have the fourth of July celebrated as best as possible with street banners from BannerFlex. 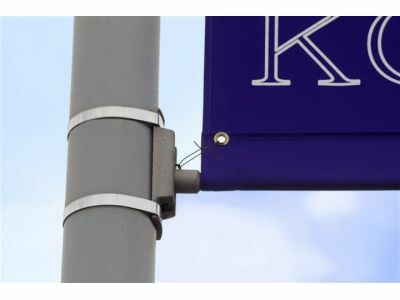 At BannerFlex, we carry all the banner bracket hardware and mounting components that you need to be able to decorate your downtown poles with ease. No matter where your street pole banners are, they will be noticed with the vibrant colors made possible by our sister company Kalamazoo Banner Works. With a team that can help design and print the perfect banner for your fourth of July, everyone will be in awe at how impressive your streets can look for the holiday. When purchasing BannerFlex hardware, you want to make sure you get the right pole, brackets, and installation tool to do the job. On our website, we provide guided purchasing so that you can be sure to get the right banner hardware for your pole every time. If you’re unsure of which to get, our experts are a simple phone call away to helping you make your fourth of July decoration the best yet. 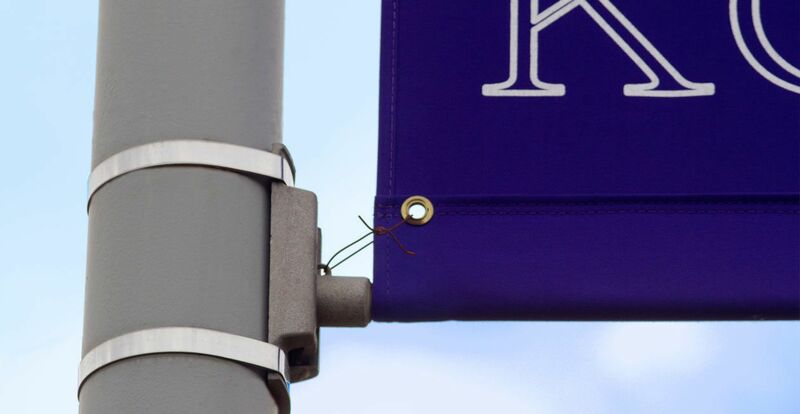 Thanks to the durability of our products, you can be sure that your BannerFlex street pole banner hardware will stay strong for years to come. This means, every fourth of July, you can put your banner up again and again. Plus, your patriotic street pole banner can be used to celebrate other holidays such as Memorial Day or Veteran’s Day! Your hardware won’t let you down, so make the most out of your BannerFlex products. With over 30 years of experience, BannerFlex helps organizations bring attention and enhance streetscapes, college campuses, and more with attractive street pole banners. If you need to bring attention to an event or holiday, contact BannerFlex and get started today!